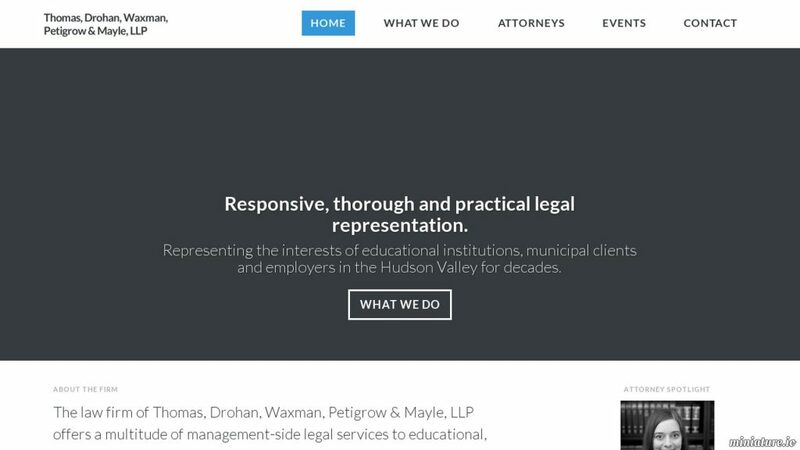 The law firm of Thomas, Drohan, Waxman, Petigrow & Mayle, LLP offers a multitude of management-side legal services to educational, municipal and private clients throughout the Hudson Valley area. They frequently act as general counsel to educational institutions. In addition, they represent clients in matters at every level of the state and federal court system, during collective bargaining, before arbitrators, mediators and administrative entities.